PDXpert software reflects our experience with companies in a wide variety of industries: industrial and control electronics, machinery manufacturing, consumer electronics, medical devices, automotive and aerospace. PDXpert can also be used for formula and recipe management in process industries — such as pharmaceuticals, personal care, industrial chemicals and foods. 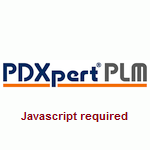 Manage PDXpert PLM system settings using simple point-and-click. Configure your system with virtually unlimited item numbering formats, part & document types, engineering change forms and workflows, and other system settings. PDXpert PLM software is easily adapted to your current product management process, and can evolve to handle more sophisticated requirements. Almost every attribute group can have an unlimited number of members, each with extensive customizable properties that give you full control. For example, PDXpert PLM software doesn't limit you to a fixed number of change types; you can create, name, and tailor an unlimited number of ECN, ECR, ECP, ECO, MCO, deviation, waiver, CPA or other change forms, each with their own workflow, default approval list, affected item types, identifier format, and custom attributes. Custom attributes are defined at the item type (for instance, assembly drawing or purchased component). A custom attribute can contain a text, date, numeric or Boolean value and optional unit of measure; it can also be a selected member of a collection.